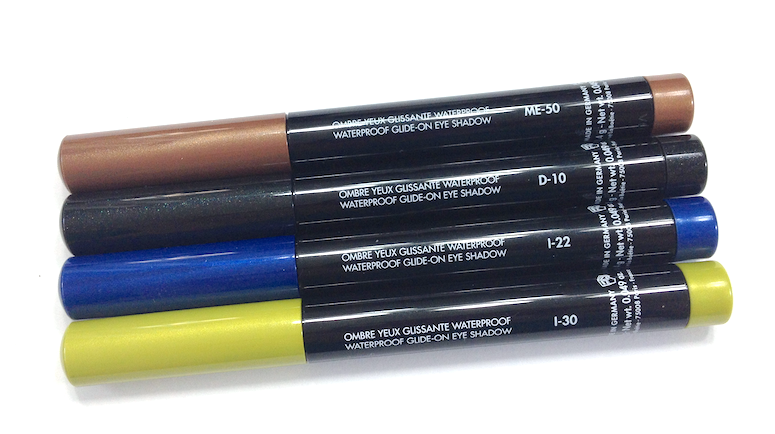 The Aqua Matic Waterproof Glide-On Eye Shadows are no exception. I've read that some people find them to be drying, and that wasn't the case for me, but the way they set does create a particular sensation on the lid. It feels almost like a bit of a light film? The closest comparison would be the way your skin feels immediately after applying a setting spray. It doesn't feel unpleasant or drying to me, but I can see how it might. Aside from the waterproof qualities, I think these pencils are generally very long lasting. They really resist wear and tear, and last 10-plus hours on me. They're a little firmer and less creamy than other eyeshadow pencils I've tried, but not so much that they're uncomfortable to use. The packaging is also really practical, with a twist-up function and a sharpener built into the bottom of the pencil casing. 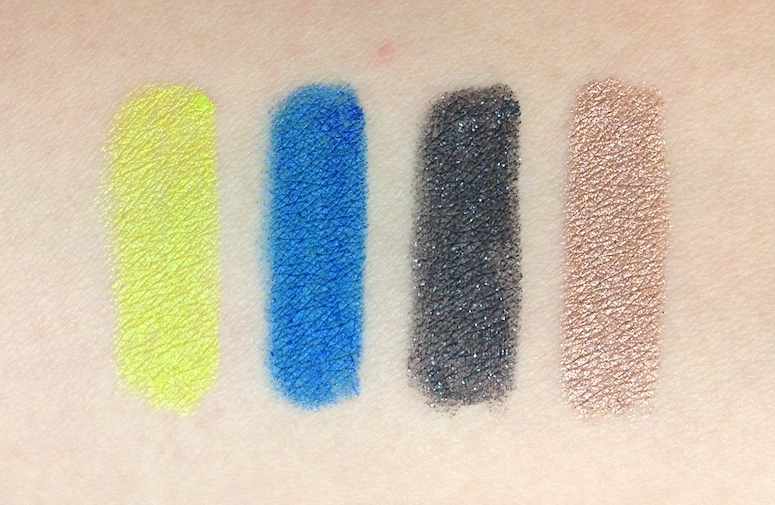 I tried applying these shades as more subtle washes, and they just end up looking patchy and odd. 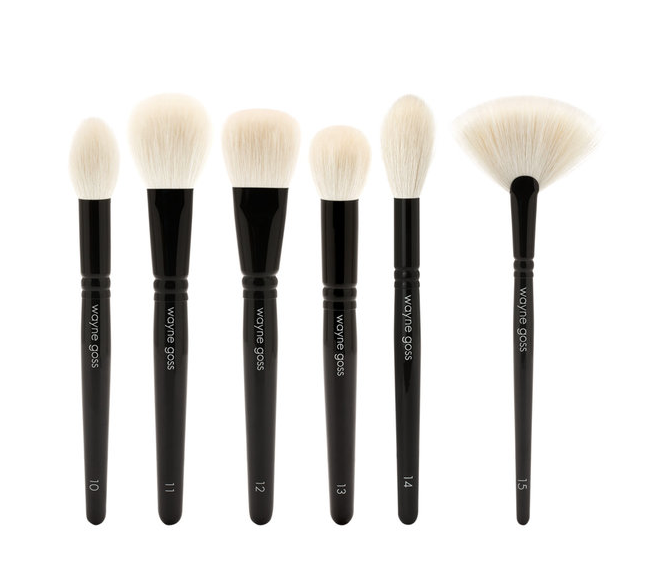 They're also difficult to blend out, because they set literally in seconds. If you want to buff the edges out, you have to work in small increments. 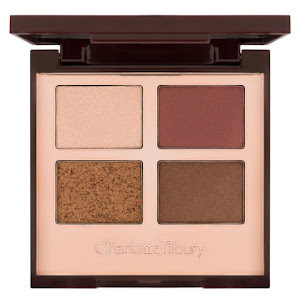 For a more natural look, the neutral shades are best, because you can apply them all over the lid without sheering them out, and then layer a shimmer or satin powder eyeshadow over them for a softened effect. If you do want to try applying them as washes, I would suggest dabbing a little on with your finger instead of going straight from the pencil, as the body heat will make it a little easier. 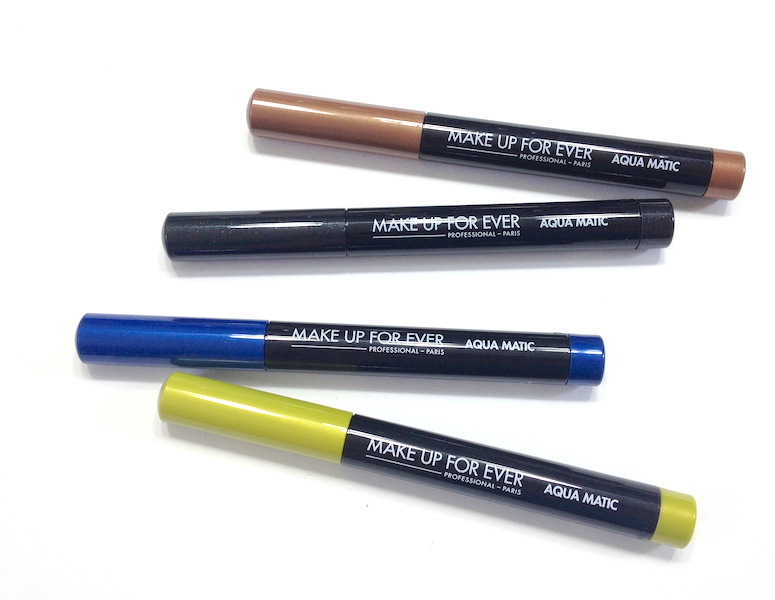 If you want to use one of the vivid shades without committing to a bold eye look, they are excellent used as eyeliners, or accent shades in smaller placements (especially if you're prone to water-based wear along your lash line or inner corner, for example). 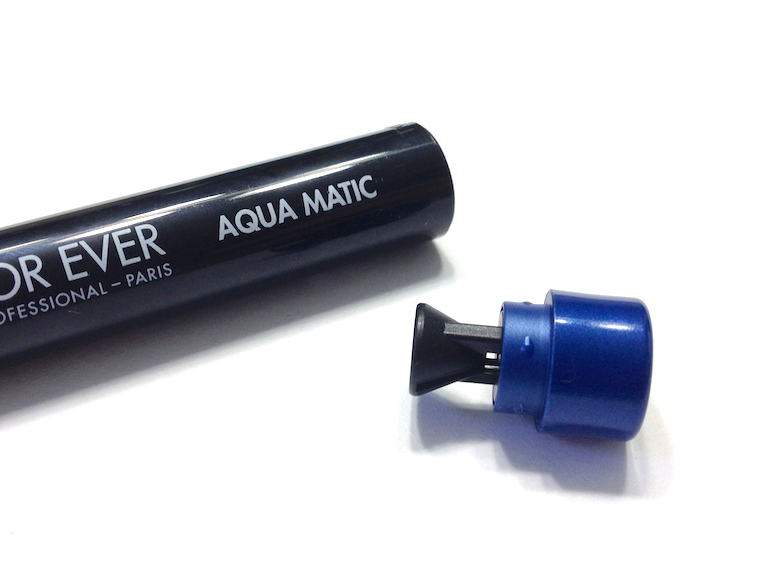 I don't think these are as user-friendly for the average consumer as similar eyeshadow pencils from other brands, but if you're looking for something waterproof and long-wearing with a lot of intensity, then these are exactly what you need. 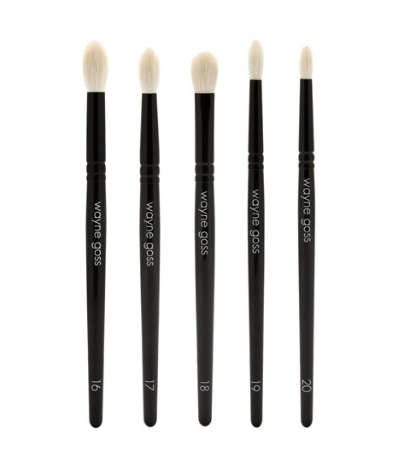 Availability: At Sephora stores and www.sephora.com. Also available from Naimie's and Nigel Beauty Emporium, via phone order. Price is 21$ USD and 25$ CAD. Have you guys given this a try? 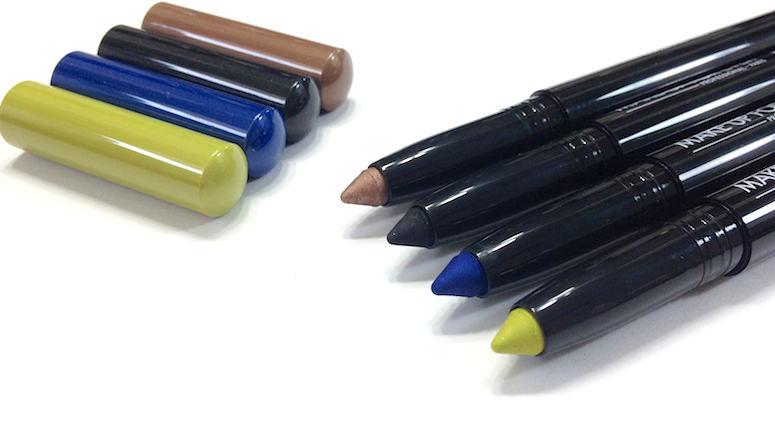 How does it stack up to other eyeshadow pencils you have? I have the ME-50 shade and I love it so much!!!! I want to pick up the sparkling pewter D-12 shade as well. I can see why the brights might be a bit more tricky, but these do wear incredibly well! And how stupid am I that I didn't realize the other end has a sharpener (d'oh!). The wear is crazy! I do wish they were a tad easier to blend, but I'm willing to sacrifice that for the honey badger level of indestructible-ness. I tried on I-22 at Sephora. I used it on my lips and it's amazing. Oh wow, I didn't even think of using them on the lips! Are they drying like that?